Hint: Look at the head of each deity. What you see there will provide you with some great clues. Students who perform this task in groups will have the opportunity for discussion. Alternatively, students can do the assignment individually, and a class discussion can be entered into when the worksheets are complete. 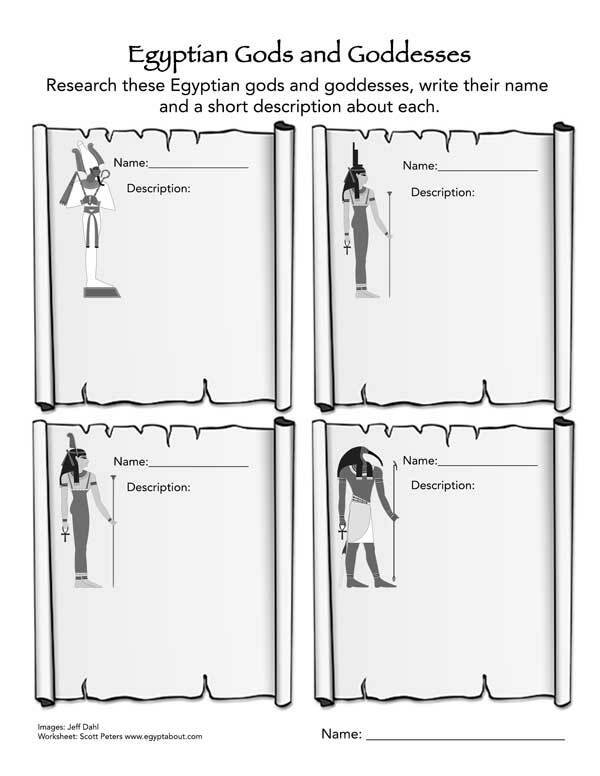 To complete this activity, print the Egyptian Gods & Goddesses worksheet. I hope you enjoy this learning activity about the gods and goddesses of ancient Egypt. For more fun, useful worksheets, please visit my Teacher Zone.